"I have found Quin Hogan, and his team, to be honest, open, cost effective, innovative, and punctual..."
"Of the eleven firms I have worked with, I rank R&R Horn number one. They earned this rank by completing all projects on time, under budget and with the highest quality standards met..."
R&R Horn, Inc. takes safety seriously. 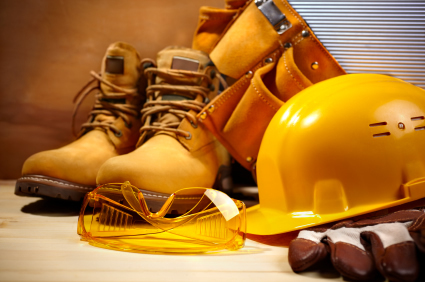 We believe that proper training of personnel and subcontractors can eliminate potential hazards and avoid accidents. The company adheres to OSHA standards and implements programs such as Confined Space Training and Tailgate Toolbox Safety Meetings to protect not only our employees from danger, but also to protect our firm and our customers from unnecessary lawsuits. R&R Horn, Inc. requires documented safety meetings to be held for construction employees and field supervisors twice weekly for the duration of a project and is committed to maintaining a drug-free and alcohol-free workplace. All employees are subject to pre-employment screening and certify their understanding of the company's Drug and Alcohol Policy. R&R Horn, Inc. also maintains an Injury Prevention Program and encourages its field personal to identify potential hazards.